In a bid to boost its subscribers base in India and target the youth, telecom operator Uninor has launched a new scheme under which it offers unlimited access to Facebook and WhatsApp for Rs. 15 per month. 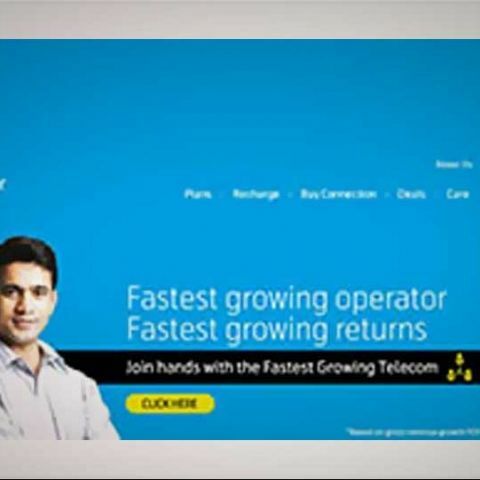 Uninor hopes the new scheme will help boost its data users and revenue in 2014. The new scheme also marks change in Uninor's Internet strategy – shifting from volume based Internet offerings (MB and GB offerings) to service based Internet offerings. “We are moving out of data and moving in to Internet. Internet is the way in which customers consume data and our approach will be to make that usage the cheapest among all operators,” says Morten Karlsen Sorby, nominated CEO of Uninor. 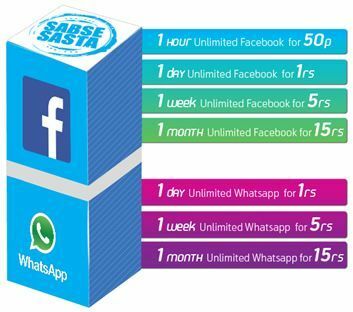 Uninor's new schemes are branded as the “Sabse Sasta Facebook” and “Sabse Sasta Whatsapp”. The scheme gives subscribers unlimited access to these services at one fixed charge for a period ranging from 1 hour to 1 month. “Selling Internet as rupees per MB is like selling air or train tickets as rupees per kilometre. What customers do with Internet is to use it for services like Facebook or Whatsapp. Our plan is to make these services the cheapest on Uninor,” said Sorby. “For us, internet will always be about affordability and relevance. Uninor will be rolling out the scheme in Gujarat, Maharashtra and Goa circles by end of this month. Other circles are expected to follow soon. Uninor has kicked off an upgradation of technology and infrastructure to gear up for the expected surge in Internet traffic. The capacity expansion project includes enhancement of packet core nodes, creation of dedicated resources only for these services and enhancing transmission and compression mechanisms. With these, and other measures, Uninor says its network infrastructure will be able to support two times the Internet demand than what it is today.